FAQs (Frequently Asked Questions) - and their answers! 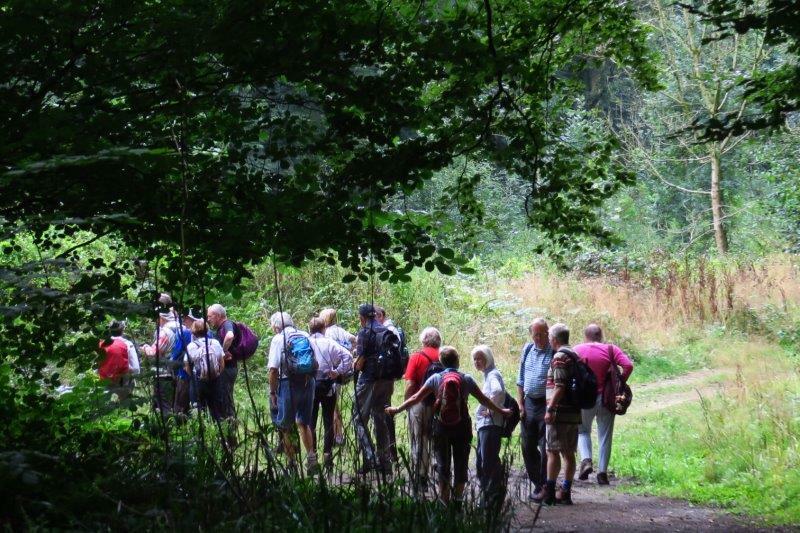 Who can walk with the South Cotswold Ramblers Group? Anyone at all - you don't have to be a member to come out with the Group FREE OF CHARGE. After a few walks you will hopefully have decided whether to join our Group as part of the Ramblers. Please ring our Membership Secretary (01453 873625) for further details and an application form. Alternatively you can print out a form or join The Ramblers on line. Quote South Cotswold Group if you wish to belong to this group. As a member you will receive discounts on clothing and equipment available from many retailers, so you can often easily recoup the annual cost of membership. Members of other Ramblers' Groups are always most welcome on our walks, as are visitors from overseas. What about dogs on walks? Sorry to disappoint anyone, but the group has a policy of Registered Assistance Dogs only. Dogs covered by the Disability Equality Act (2010) are hearing dogs, guide dogs, service dogs, therapy dogs and seizure alert dogs, all of whom are very welcome on our walks. What are the walks (and walkers) like? We are friendly to newcomers, and our walks average out at about two miles an hour (not including lunch). Our leaders make sure that no one gets left behind, and walk at a pace that suits the majority of us. We also do leisurely paced walks on alternate Mondays, when the pace is about 1.5 miles an hour, and there are plenty of chatting opportunities. Please consider the distance and the type of countryside (see below), especially if you haven't done much walking recently. It may be sensible to try a shorter, easier walk first. Do ring the leader at a reasonable time if you have any questions. Our Monday walks are always at a Leisurely pace. Walking in our scenic area can sometimes be fairly energetic, but the climbs are usually well worth the effort for the wide views. We have devised the following categories of terrain to give you some idea of what you are in for! Terrain 1 Not much climbing. Terrain 2 A mix of hilly and level sections. If you are thinking of doing a Terrain 3 walk, it is a good idea to ring the leader to see what the hills are like and whether the walk is suitable for you. Please do not walk ahead of the leader, unless you are specifically asked to. The Ramblers cannot take responsibility for any loss, damage or injury occurring on any walk or event. How many come on a walk? Not all our 400 odd members. We probably see about 160 of our members at some time during the year, and are grateful for the support and interest of all the others in supporting Ramblers' charitable work both nationally and locally. Attendances vary according to the weather and average a pleasant 20, where it is possible to have a chat with everyone (and likely too). The start point varies, and is shown in the description, together with a grid reference. The online Led Walks Programme will show you starting point maps if you click on the blue Map Link web addresses. Use Zoom Control to see a close up or a wider view of the area. Alternatively you might need to phone the leader for help in finding the place if you ring at a reasonable time. In adverse conditions it is the leader’s decision whether to cancel or shorten the walk, taking into account walkers' health and safety. Please ring the leader if there is any doubt before travelling. Please aim to arrive at least 10 minutes before the start time, ready for a prompt start. Car sharing is encouraged, and several members take turns in offering each other lifts. If you don't drive it is suggested that you offer the driver a contribution. Bananas are popular as a snack, and most people bring plenty of water, as walking is thirsty work, and dehydration can really happen! On longer walks extra food supplies are always advised, even if hoping for a pub lunch, as sadly pubs close down sometimes without any notice! Often a pub lunch is available during or after a walk. Sometimes the pub asks us to supply numbers at 09:50, or even for walkers to make a choice from a menu at that time. Of course you are free to picnic on any walk, but not usually in the pub. Our Group is usually very welcome in pubs, partly because we have a tradition of removing muddy boots or covering them with plastic bags (this can gain us a few strange looks, but who cares?). Wear strong footwear, and decide whether to carry waterproofs and warmer clothing. Several thin layers are a good idea for flexible temperature control. A simple personal first aid kit is recommended, as is a mobile phone for an emergency. All leisure activities have inherent hazards associated with them including rambling. In spite of participants’ safety always being the paramount concern, accidents will occasionally occur. It is important that each person appreciates their responsibility to identify hazards and take all reasonable steps to eliminate or minimise the potential for accidents. We look forward to seeing you. Do contact us if you still have a question.